Every new year is a chance at a fresh start. As humans, we talk about things to work on, making the new year a better year than the previous, and how to enjoy our lives more each year. With this, we often times forget the basics, the simple things that we can do consistently to achieve results. Whether it be for our mental/physical health, wealth, connecting more with family and friends, or just stressing less, as humans we all have our strengths and weaknesses. Often times get caught up and forget the basics: consistency and simplicity. 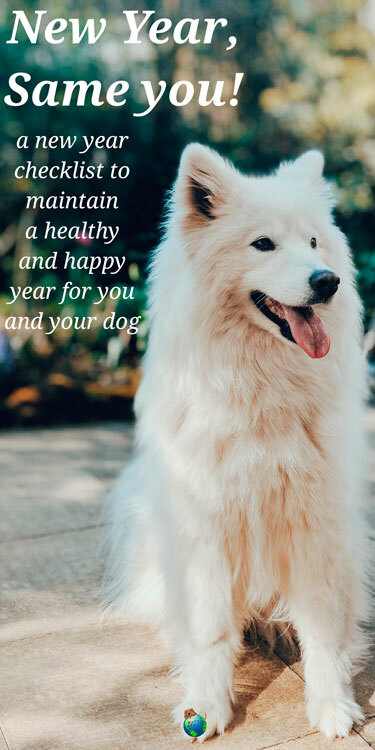 This goes for your dog too! As time progresses, we see more and more products for your dog’s health, bone health, skin care, digestion, and more. We are not saying that all of those products don’t work or that they are a waste of money. What we are saying is that you should focus less on those things and focus more on a plan that incorporates such things and emphasizes simplicity and consistency. If that plan includes supplements and other proven methods to better your dog’s life, by all means, do them! But don’t get caught up in all of the hoopla that you forget what truly matters: the execution of your plan! Remember, your dog can only be as consistent as you! Below we have created a list to remind our dog lovers of what matters and what we feel should be a consistent part of your dog’s health. Consistency is more important than anything. Instead of trying to walk your dog 3 miles every day, start small. Little success each day rewards more than attempting a massive unattainable goal. Plan for play time a couple times a week, and keep to it! Keep it small, keep it simple, keep it daily!